1) What is a mouse and rat? a. What a mouse is: Mus musculus. Mammals (warm blooded, vertebrate, has hair or fur, secretion of milk from females, typically live birth). Rodents. Light brown to black fur, white or buffy bellies. Tails, nose. 2 to 4 inches long, up to about an ounce (or 30 grams) in mass. Live in very close association with humans. Gestation is 19-21 days long, 5 – 10 litters per year in suitable conditions. Fully furred at 10 days, capable of seeing 14 days, sexual maturity at 5 – 7 weeks, average lifespan of 12-18 months in the wild. 2 years in captivity. b. What a rat is: Rattus rattus (Black rat) Rattus norvegicus (Brown rat). Introduced across the world by human travel. “Medium sized rat” (70 – 300 g, 2.5 – 11 oz), between 6 to 9 inches long not including their tail which is as long as their body. Agile climbers. Generally black in color. Five litters per year, 21 – 29-day gestation period, eyes don’t open until 15 days, independence at 3 – 4 weeks. Lives for a year in the wild, four in captivity. c. What is a lab mouse / rat? Wild mice and lab mice are both Mus musculus. But the wild mouse is facing a larger, fatter, calmer and less aggressive version of itself that’s the result of brother-to-sister inbreeding for generations, resulting in mice that are almost completely genetically identical. Compared to mice, rats are bigger, generally more aggressive, and more resistant to various ailments. Inbred mice are ideal for studying the biological effects of a genetic mutation or an environmental influence such as diet. Such effects are obvious because these mice are almost genetically identical. They gave researchers studying disease or inheritance a simple genetic canvas on which to work. d. What is a model? It’s hard to learn every single thing about every single organism. Using systems that seem to be generalizable allows for comparisons and development of more complex, in-depth experimental developments. i. Very similar to a model in real life; you can’t necessarily picture what you’ll look like with that jacket until you see it on the model. That being said, it’s not the picture of what you look like, but it is representative. Some models are better than others. ii. Is the organism good to rear? Is the size convenient? Is it inexpensive? How long is the lifecycle? Can you manipulate the genetics? Will the results be useful? Will others use the model? e. Why rats instead of mice? Cardiovascular research, behavioral studies and toxicology. Larger size is an advantage, especially for facilitating surgical procedures and other types of testing. Rats are commonly used for behavioral studies because they are much more social than mice and their behavior better mimics behavior seen in humans. (eg decreased socialization when FMR1 gene is responsible for fragile x syndrome which the author says is the most common cause of inherited intellectual ability in humans. In mice, they become more social which doesn’t mimic the social behavioral symptoms seen in humans. 2) What are the pros and cons of using mice as models? a. Pros: Share around 80% of their genome with humans; one of the first organisms to have their complete genome sequenced. Mice are mammals and have similar processes that occur: aging, immune responses to infection / disease, and have similar hormone (endocrine) systems; blood cell production, digestion, respiration, cardiovascular health. Diseases often impact more than a single cell or a single organ and an organism is the only way to assess a full body therapy. Mice are small (2500 - 3000 times smaller than humans, Partridge in 2003 in The FEBS Journal), portable, easy to breed for selective traits. 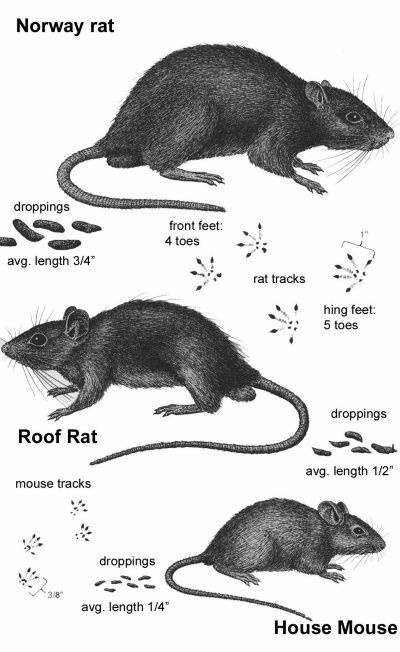 Although house mice are not a major source of human disease, they can transmit lymphocytic choriomeningitis virus and perhaps other pathogens to humans, and other rodent species are important reservoirs for zoonoses. Studying mice is important for the sake of studying mice. Hypertension, Diabetes, Cataracts, Obesity, Seizures, Respiratory problems, Deafness, Parkinson's disease, Alzheimer's disease, Cancer, Cystic fibrosis, HIV and AIDs, Heart disease, Muscular dystrophy, and Spinal cord injuries. i. SCID: A chance discovery in the early 1980s, for example, yielded the severe combined immune deficiency (SCID) mouse, which lacks a working immune system. The strain offers a unique opportunity to probe how the body normally defends itself from infection. ii. Knock-out: In 1980, mouse genetics underwent something of a revolution - with the advent of techniques that allow genetic modification. These experiments culminated in the creation of the first 'knockout' mice, from which a particular gene of interest had been removed. b. Cons: Mice have metabolic rates, yes, but they’re about 7X higher than an average human. Mice can synthesize vitamin C on their own while humans need to ingest it. Humans and mice have different microbiomes (though control of the mouse microbiome is possible). Many laboratory mouse strains were derived from fancy mice, which had been kept as pets for centuries. These strains were derived largely from the subspecies M. musculus domesticus; these differences have led to an “entirely different organism”. Mice have a heart rate of ∼600 beats/min, while humans have a resting heart rate of ∼70 beats/min. This difference in heart rate a difference in cardiac studies. i. Substrains J and N of Black 6 mice also have differences as shown by a regulation of cocaine response in late 2013 in the magazine Science from researchers at the University of Texas Southwestern Medical Center in Dallas. 3) What is the historical basis of using mice as model systems? a. First occurrence: Genetic variability confounds research; there are many differences between individuals that cause issue. Through the efforts of many forward-thinking individuals such as Lucien Cuenot (Sweh-nuhhht), William Castle, Clarence Little, Halsey Bagg, and Leonell Strong (early to mid 1900’s), this problem was addressed via inbreeding of mice to the point that genetically identical mice became available for experimental use. In 1909 one such scientist, called Clarence Cook Little, became the surrogate father of the modern lab mouse. Little, who went on to found the Jackson Laboratory, mated closely related mice for generation after generation, creating the first inbred strain. i. A Nature article published by Tom Clarke in 2002 says “Discoveries made using mice have netted 17 Nobel Prizes, and more will undoubtedly follow”. b. Humanized mice: The advent of the "humanized mouse" — one that carries a match of the tumor and the blood system, including the immune system, of humans or a particular individual. a. Who is Abbie Lathrop? Abbie E. C. Lathrop was born in Illinois in 1868, moved to Granby MA in 1900. She had an interest in breeding “fancy” mice and rats and sold them to hobbyists, exotic pet collectors, and scientific researchers. She contributed samples of sick mice to researchers, helping develop research collaborations that resulted coauthored research articles. A frequently used laboratory mouse strain for the past 80 years, C57BL/6J (“Black 6”), is derived from one of Lathrop's animals—mouse number 57—bred by Clarence Little. b. Why are lab mice albino? Not all of them are, but the ones that have a genetic mutation in the tyrosinase locus (an enzyme required for production of the melanin pigment) that make them that way. Important for mendelian genetics experiments (while we haven’t talked about Mendel nor his peas…) and was well known in ancient times and selectively bred in Egypt, China, and Japan. a. Is it amoral to use animals like mice or rats for research? Scientific ethics is a common and important discussion. Commonly, it is thought that animal experiments produce such great benefits for humanity that it is morally acceptable to harm some number of animals as long as suffering is minimized in experiments and human benefits are gained in a way that could be gained no other way. Common thoughts are that if we could not use animal models, one could not test new drugs or all drugs would have to be tested on human beings. There is a lot of philosophy that goes into discussions like this. b. Do mice models work? “Less than perfect, still invaluable” – Melissa Henricks, Associate Director of the MA in Science Writing program at Johns Hopkins, 2010. A simple scholar search for the last year shows models for Alzheimers (despite a different in brain makeup and topology), addiction, autism, cancer, and even lupus. The Nobel Prizes mentioned before bear repeating. Mice are still being used more than ever. A study published in PNAS in 2013 by Ronald Tompkins, a professor of surgery at Harvard Medical School and co-author of the study said “We’re not saying don’t use animal models, but we need to recognize that simple model systems do not reproduce complex human disease.” This was in reference to some mouse models and not mouse strains in general (in fact, referring to the famous Black 6 model). i. It can be difficult to be a scientist and justify your research with animals and to do the work for some. The common citizen may not believe in animal research but the benefits and practical use must be met with a healthy amount of critical thinking.